Birmingham's Old Rep Theatre was created to foster new talent – and now, more than 100 years after it was founded, the historic stage will this Christmas be showcasing local performing arts students. 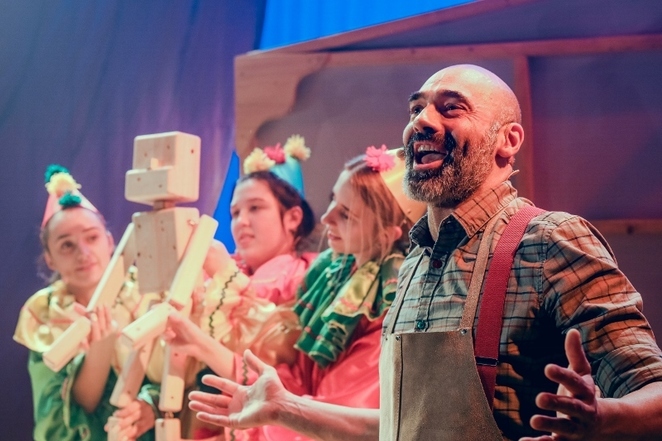 Birmingham Ormiston Academy is producing its fourth Christmas show at the historic theatre – with a new musical adaptation of the classic children's tale Pinocchio. The production, which runs until December 30, features 24 students in the cast alongside five professional actors with a team of production staff. And, according to the academy's executive principal and CEO Gaynor Cheshire, the festive productions are part of BOA's strategy to give young people opportunities to be on stage and experience live theatre. Formerly managed by Birmingham City Council, The Old Rep, which was opened in 1913 by Sir Barry Jackson as the home for Birmingham Repertory Company, came under BOA's management four years ago and is providing students with the chance to tread the same boards as Peter Brook, Laurence Olivier and Peggy Ashcroft. Gaynor says: "We really wanted to make The Old Rep a vibrant space and introduce young people to the theatre both on stage and in audiences. What is important is that the youngsters have the chance to work with professional actors, a professional director, a professional choreographer, a professional musical director and other professional roles." 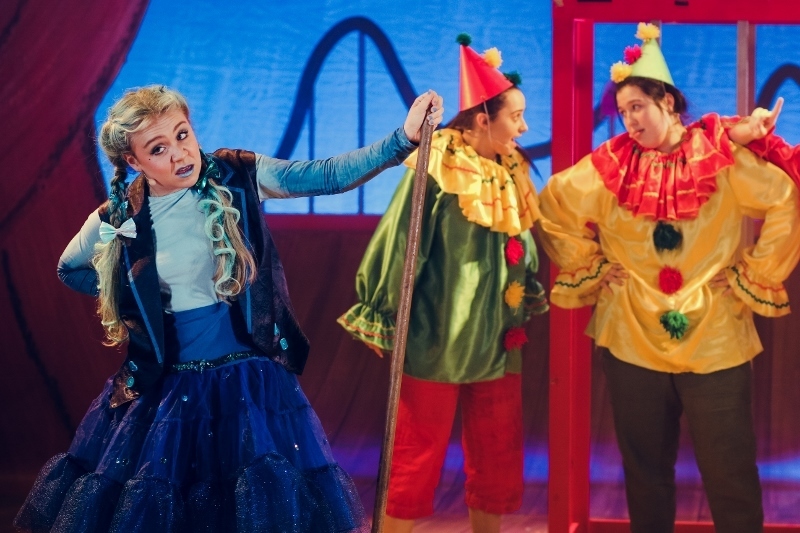 BOA's Christmas shows, which have also included Wind in the Willows, Treasure Island and Alice in Wonderland, have built up a strong reputation for entertaining families and schools. Gaynor adds: "Our purpose is also about giving the wider community the opportunity to see good quality theatre. More than 45,000 young people have come to see our Christmas shows over the past three years – and that's just the Christmas shows! So these productions are about the audience and the community as well. The vision was always that we had this theatre in the city which wasn't being used very much so we wanted it to be a theatre for young people being introduced to the theatre – both on the stage and whether they come here for classes or to see musical theatre." Pinocchio director Alec Fellows-Bennett is determined the students are at the heart of Pinocchio. "The young people are integral to the production, they're not simply a chorus. Every single actor has at least one character they are following all the way through. They aren't just there to support the professional cast, they are part of the cast. There is nobody else I know of who does this in such a fully integrated way where the students form part of the company. I know there are lots of shows where they have children or young people in the casts but it's not to the same level as this show." An actor and director, Alec played Ratty in BOA's Wind in the Willows and the Mad Hatter in Alice in Wonderland. "I hop between acting and directing," he says. "If there is a character that would be fun to play then I act but if there is a story where I think I would really like to tell that story then I step back and direct." And that story is Pinocchio, the tale of a wooden puppet who wants to be a real child. "To me Pinocchio is the perfect story for this theatre," says Alec. "If you asked a young child to draw a theatre they would pretty much draw The Old Rep auditorium. The idea of a story where toys come to life and it's all make-believe is the perfect story for a classic theatre like The Old Rep."
While Alec is proud to be working with BOA students, he has this message for potential audiences. 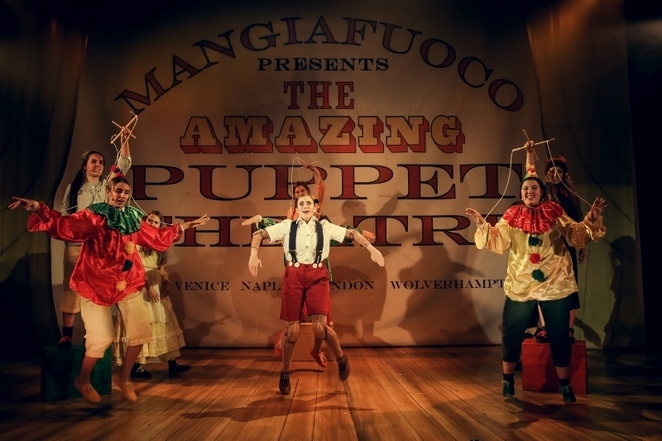 "What I would say to audience members is not to think of this Pinocchio as a 'student performance'. It's a professional show, in the centre of the city, in a very well-respected theatre and there is nothing going on that stage that says 'school' or 'college' show. As far as we are all concerned this is a professional show where many of the cast happen to be students. And it's a Christmas musical which audiences will enjoy." BOA's Pinocchio plays the Old Rep until December 30. For ticket information contact 0121 359 9444 or click on the oldreptheatre.co.uk website.